Here is an enterprising gentleman! 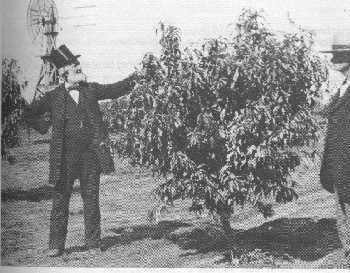 Experimental orchard with 2 years growth proudly shown off by Reverend Golder. October 1889. Courtesy, Permian Historical Society Collection,.